This week we launched our new website after months of development. We now have an entirely redesigned site. Find out about the changes on the site, the exciting new features and the little extras we have included that you may have missed on first glance. 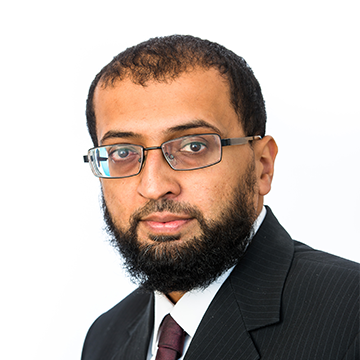 Rizwan is a director and Practice Manager of I Will Solicitors. Having graduated with a 2:1 in Chemistry from Birmingham University, Rizwan initially spent two years working as a Project Manager for an educational charity. As you may have noticed if you have visited our website before now – it has changed! We have been working on the changes for the past few months and everything went live as of Sunday 7 October 2018. The new site is a complete redesign from the bottom up, with entirely new features, content and more. The purpose of this blog is to introduce some of the new features, explain the goals for the new site and encourage suggestions for how we can continue to improve the website with the content you want to see. So let’s start with what’s new. When you visit the site during normal office hours you will now see the Live Chat box in the bottom right-hand corner. The box is labelled Live Chat – Online and if you click on this box, you can speak to us directly with any queries you have and obtain the answers you need. We hope this will be of benefit to everyone and especially anyone who needs a quick answer to a burning question. If you visit the site out of office hours or on the weekend, you can always leave us an offline message or complete any of the Contact Us forms on the website and we will get back to you as soon as possible. The Blog you are reading is the second major change to the website. Although we nominally had a blog in our previous website it was sadly under-utilised, that is all changing with the new website. We have re-designed the Blog and we hope you agree it is far more user friendly and a significant improvement from a design point of view. We have also added new sharing functionality. At the top of the Blog you will now see buttons allowing you to share a particular article via Email, Whatsapp, Facebook or Twitter. You can also print the article for reading later should you wish to do so. Each article will also be categorised according to topic area (i.e. 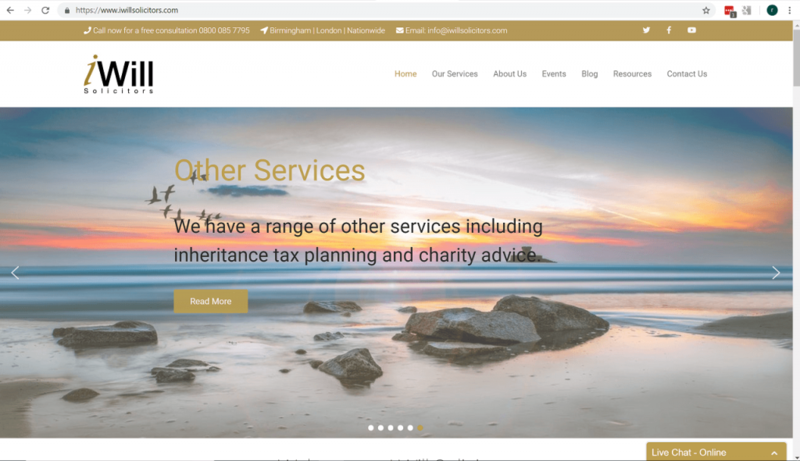 Wills, Probate, IHT planning etc). This means if you want more of the same you can click on the topic area and you will be given a list of all the articles within that particular category. At the bottom of each Blog you will see we have a comments section and we welcome comments from anyone. We will endeavour to respond to any questions that are received as soon as possible. Over the coming weeks, months and years we plan to make the Blog the central location for those interested in finding out more on the services we provide and we would welcome suggestions on what you would like us to write about. Our new Events page has made it easier to see where we have upcoming events and how you can join us. We regularly have Will Clinics in London and deliver presentations around the country. Should you wish to request us to deliver a presentation or Will Clinic locally to you, please get in touch. In our new Resources section we have added a number of features. In addition to the previous Download Files where you can find booklets with more information on services and questionnaires for our Islamic Will, Will and Probate services; we now have three new sections Infographics, Islamic Inheritance App and Videos. We have prepared a number of infographics demystifying common topics. For example, why not learn more about Inheritance Tax for example in an easy to digest visual format or what a Lasting Power of Attorney is and why you might need one. With YouTube becoming so popular many people search for information online via video tutorials and FAQs. For this reason, our Videos section has been added to address some common questions that are asked. If you are looking to learn Islamic inheritance then we have a playlist for you, in which we take you step by step through how the rules of inheritance work. We will be growing our database of videos over time and welcome suggestions on what you would like to see. 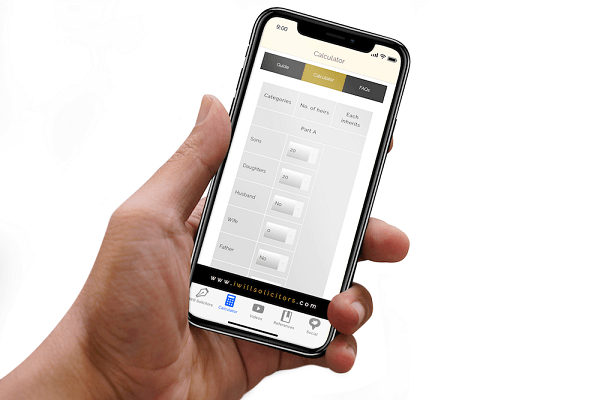 In conjunction with our new website we have also created the second version of our Inheritance App for Apple and Android phones. The App was first released in 2014 and we believe at the time it was the world’s first App to calculate Islamic inheritance. As time progressed however the App needed an update for the newer versions of mobile operating systems. We therefore took the opportunity to redesign the App from scratch, improving all the functionality and adding new features like Social and Video. The App page on our website, highlights the main features of the App and you can see the App in action. We have been on Twitter for quite some time and have a small but growing band of followers. We have now also joined Facebook and YouTube and will be updating each page with the latest news and information. You can go straight to the sites from the top navigation bar, via the Social Media icons. Why not subscribe, like and follow us! We want to make this website the number one resource for anyone searching on the web for information on Islamic Wills, Wills in general, Probate, IHT planning and the other services we provide. We therefore request that you let us know what you would like to see most; and we will try and prioritise these requests. Similarly, if you find anything you don’t like or any incorrect information please do let us know. From everyone at I Will Solicitors, we hope you enjoy checking out the new site and if you would like to speak to anyone, please call us for free on 0800 085 7795 for a no obligation consultation.